Since the tournament was first broadcast in its entirety back in 1993, the Masters has provided us with some of the most memorable and dramatic moments in golfing history and many players have used their success in the tournament as a springboard to take their career onto the next level. On April 5th, the best golfers in the world will once again tee up at Augusta in an attempt to get their hands on perhaps the most iconic and coveted prize in golf – the coveted green jacket, along with the title of the 2018 Masters Champion. With the tournament fast approaching, it feels appropriate to look back at the top five career-defining Masters moments, which will live long in the memory of golf aficionados and sports fans alike. Get the tissues ready – it’s going to be emotional. 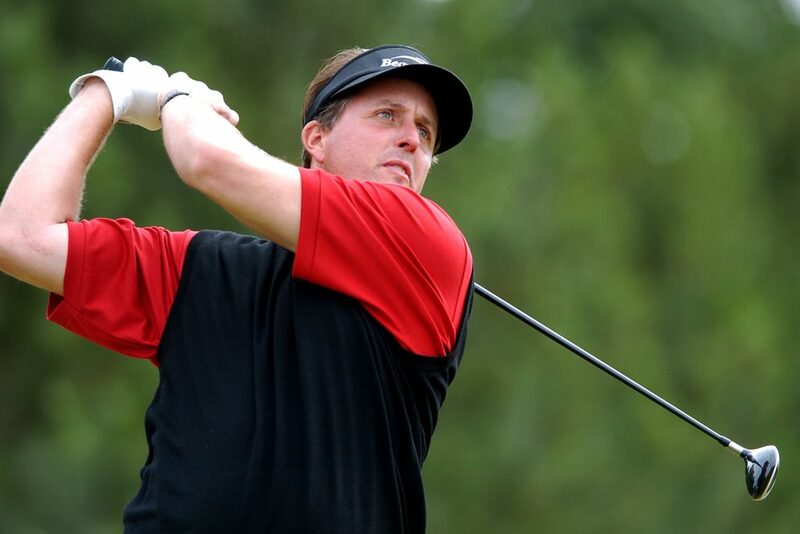 USA’s Phil Mickelson in action. Ask around the golfing circles and you will quickly realise that nobody has a bad word to say about Phil Mickelson. The affable American comes across as one of the most down to earth and likeable players on tour and the collective golfing world was on its feet back in 2004 when ‘Lefty’ broke his major duck by sinking a remarkable 18ft birdie on the 72nd hole. Since then, Mickelson has won a further four major titles including two more Masters titles but the win in 2004 was undoubtedly the most important of his career and helped mould him into the golfer we all know and love today. Let’s face it – this wouldn’t be much of a list without Tiger Woods now, would it? 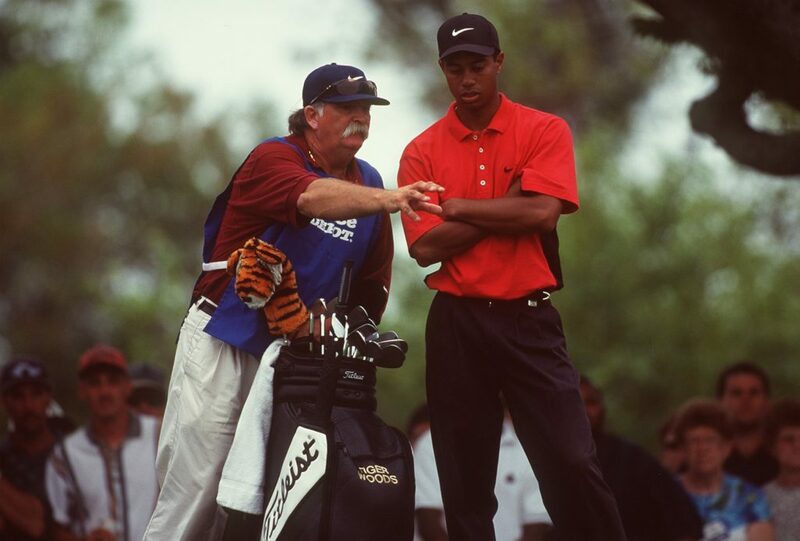 With many golfing fans and bookmakers alike tipping Woods to reproduce the kind of form which has seen him land 14 major tournament titles, we take a trip back down memory lane to the American’s maiden victory in 1997 at the age of just 21. As well as becoming the youngest player to ever win a green jacket, Woods also set the tournament scoring record at 18 under par and the 12 stroke winning margin remains the largest ever at the masters. After his holding his final putt, Woods promptly ran off the course at the 18th hole to embrace his father Eldrick. Told you that you’d need those tissues. 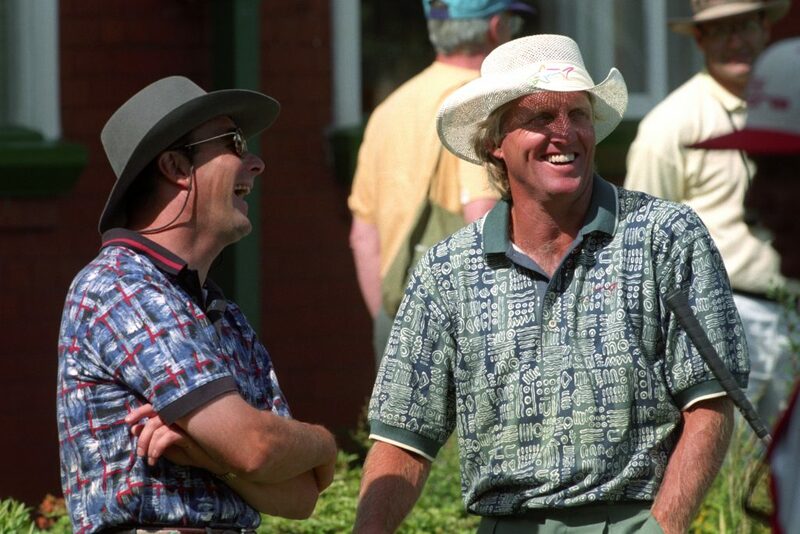 Greg Norman (r) with Nigel Mansell in 1996. Not only is Greg Norman well known for being one of golfs good guys, he’s also widely regarded as one of the most complete players in the history of the sport. Unfortunately, Norman is remembered for all the wrong reasons when it comes to the Masters and in 1996, the Australian blew a final round lead of six shots and had to watch on painfully as Nick Faldo once again donned the green jacket. In one of the most touching and memorable moments in golfing history, Faldo and Norman shared an emotional embrace at the 18th hole and Norman’s pain was there for all to see. Poor Greg. Whilst Nicklaus was hardly finished as a golfer back in 1986, many believed that his best years were behind him. 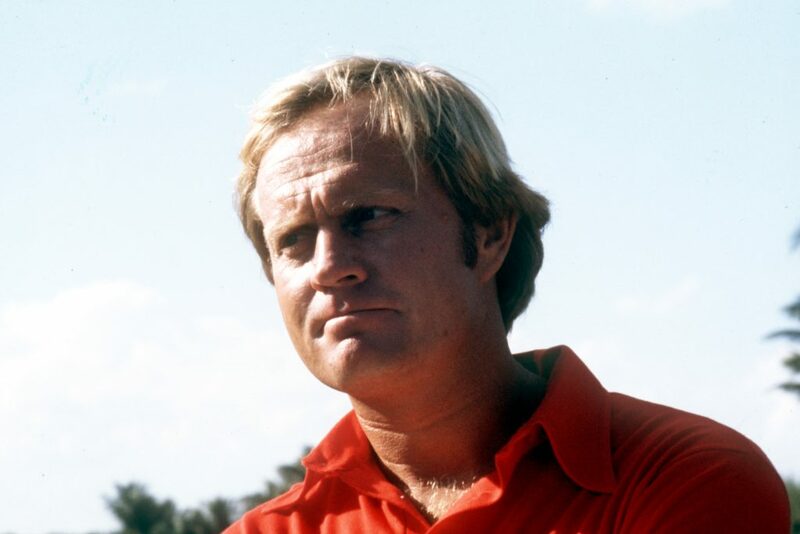 However, at the age of 46 years and 82 days, Nicklaus became the oldest ever winner of the Masters by shooting a mind-boggling score of 30 on the back nine which included a streak of eagle-birdie-birdie starting on hole 15. In a field which included elite players such as Tom Watson, Seve Ballesteros and Tom Kite, can you guess the eventual runner-up? That’s right. Greg Norman. Poor Greg… again. Sergio Garcia celebrates winning the Masters Tournament on Sunday, April 9, 2017. 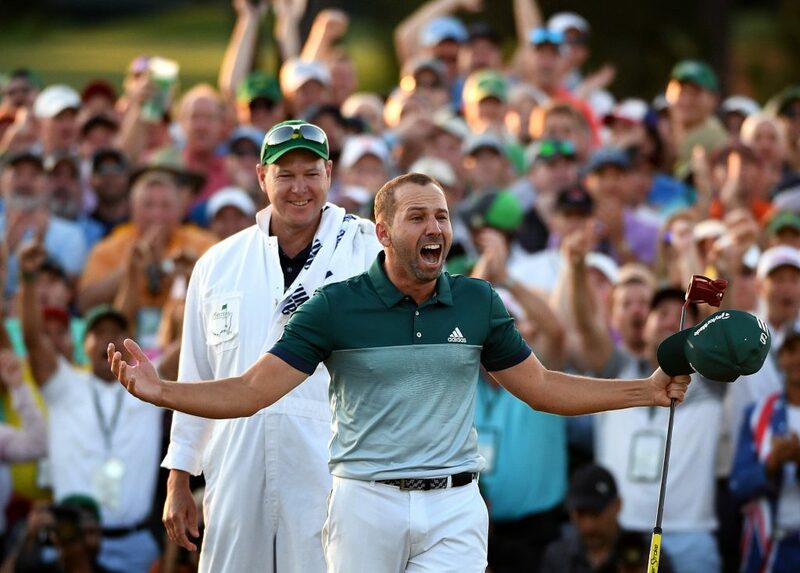 Last year’s Masters will forever be remembered as the tournament where Sergio Garcia finally put his demons to bed and claimed his maiden major title. The sheer joy and pure elation on the face of the Spaniard as his putt at the 18th briefly decided to ride the rim of the hole before disappearing into the abyss will live long in the memory of golfing fans. With Garcia proving people wrong and demonstrating that he does indeed have the bottle to win an elite tournament, many bookmakers are fancying his chances of adding to his major trophy cabinet before he hangs up his clubs. Very rarely has there been a Masters tournament devoid of drama and incident, and this year promises to be no different. What’s more, with no real dominating force in the world of golf at the moment, you could certainly argue that this is one of the most open major tournaments in recent memory. All that’s left to do now is sit back, relax and hope that the next three weeks or so fly by. They will. Promise.